When discovering what Florida has to offer, do not overlook Naples Fishing Trips. Getting out in the outdoors is a great way to stay in touch with this amazing state. Take a break from the beautiful beaches of Naples and step on board for a fishing trip of a lifetime. The Golden Gate Canal is centrally located between the pristine beaches of Naples/Marco Island and the Everglades National Park. If you want to explore wild southwest Florida Fishing, the Golden Gate Canal is where you can save time and money and be connected to the natural wonders Florida has to offer. Catch peacock and largemouth bass on this amazing fishery with quantity and quality. Just a short drive away from Naples, you can experience the world-renown Lake Okeechobee out of Clewiston, Florida. Trophy largemouth bass reign supreme on this beautiful lake. The wildlife and vast waters to catch bass will amaze you. Don’t miss out on your chance to catch your bass today while visiting family. Lake Trafford in Naples, Florida is also closely located where you can experience an awesome fishing trip on a beautiful lake. The wildlife surrounding Marco Island is stunning and you must see and feel what it has to offer. 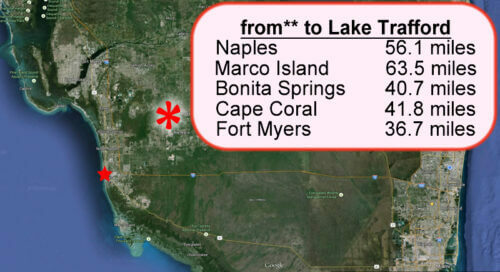 Lake Trafford is headwaters to the historic Everglades on the West Coast of Florida just minutes away from Naples. Experience Birds and Alligators that will leave you with a true taste of the Florida Outdoors on the 1500 acre lake. 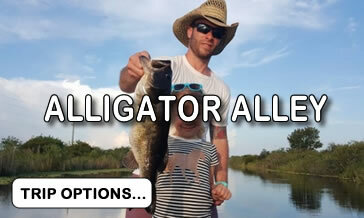 One of the best ways to experience the Everglades National Park is a Alligator Alley fishing trip. Our fishing trips allow you to experience and see the natural wonders Florida has to offer. Bring your family and friends on a fishing adventure that will create memories for a lifetime. It has limited access but by bass boat or air boat allowing for exceptional fishing conditions for bass near Marco Island. The largemouth bass can be caught in numbers and size on this natural beauty of untouched Florida. Fish the waters Naples Fishing Trip on a boat fully loaded with high-quality rods, reels, hooks and artificial baits. 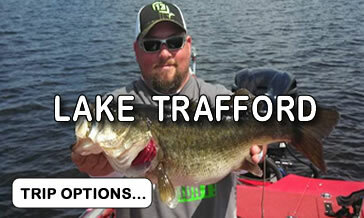 Drop a line into the world famous bass waters in Naples Florida with bass, crappie, bluegill and bowfin. 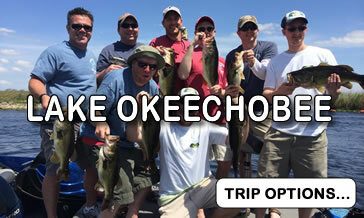 Naples fishing trip complete operator information, including local telephone numbers for your destination, are included on your Confirmation email. Our Trip Managers select only the most experienced and reliable guides in each destination, removing the guesswork for you, and ensuring your peace of mind. Click here to read more about Naples and all it has to offer.